Kabah Hotel Boutique is a 4* hotel located in Cancun-Downtown, Mexico. It features 24 rooms. Kabah Hotel Boutique is a modern property in front of Kabah Park, which is located near the heart of Cancun and is the biggest urban park in the city. This elegant hotel features an industrial-design architecture and offers a restaurant, a fitness center and comfortable non-smoking facilities. All of the suites are beautifully decorated in a contemporary style and are equipped with an array of excellent amenities, such as air conditioning, cable television and Wi-Fi. 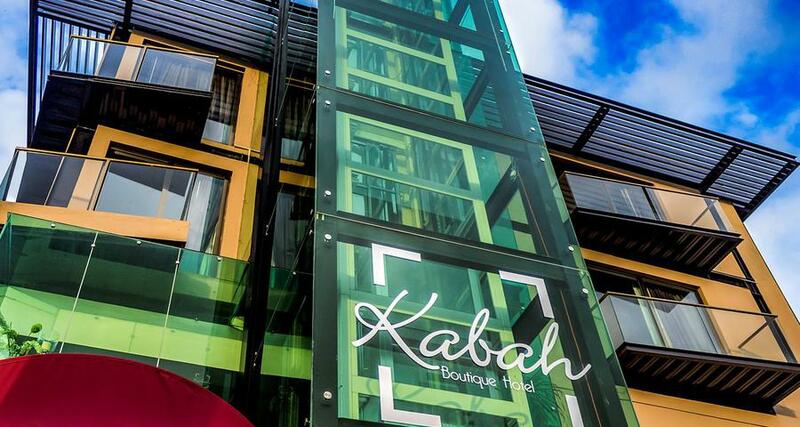 Kabah Hotel Boutique also offers laundry service, parking, an elevator with panoramic views, and due to its strategic location, it provides easy access to downtown, shopping malls, Market 28 and various attractions.